Wales Interactive’s co-founder and technical director Richard Pring is buoyantly proud of what the independent developer and publisher has achieved over the past three years. And, rightly so. Still young, the studio already has 16 games under their belt and promises to take us on a journey through the darkest recesses of our souls in Soul Axiom – discovering our identity, story and mystery along the way. Perhaps in some ways that echoes the studio’s early years, a business adventure that has seen Wales Interactive transition away from mobile to bring their distinctive wares to console. Racking up numerous nominations and awards their efforts have clearly proven a success, and that fiery passion shows no signs of waning. As they work tirelessly toward establishing Wales as a new home for games development, we caught up with Richard at EGX 2015 where Soul Axiom was on show as part of Nintendo’s ‘Nindies’ selection. Nintendo Insider: I thought that the best place to start would be talking about Wales Interactive itself. Could you provide some background on the studio’s history? Richard Pring: It started off with me and Dai Banner three years ago, we set up the company to try and make a place in Wales for games really. Like I said, there was nothing around at the time and both of us wanted to stay in Wales, so we thought ‘Ok, let’s do it!’ We started off as a very small company from that, encouraging graduates and other people to come around and believe in what we were trying to do. It kind of grew and grew from there. We started off on mobile to train people up really and to get used to it all. These days we’re on consoles, Wii U, the whole shabang! It’s been a great couple of years – 32 nominations and 17 awards so far over the last three years, so it’s been really good for us! NI: Wales Interactive has already supported Wii U with Gravity Badgers and Master Reboot – two distinctly different titles! Were there any challenges in approaching porting them to the console, compared to others that you’d worked with? RP: The guys have been really good at Nintendo – especially Nintendo of Europe – with helping sort any technical problems out. Gravity Badgers was quite an easy one actually – it’s not very graphics intensive or anything like that, so it was nice to port over. We had a lot of fun with actually using touchscreen controls on the Wii U GamePad. But as I say, it was great. We worked with Nintendo, worked with the Unreal guys and we managed to port it over as a really cool game. And it’s been really well received on Wii U actually, so we’re really pleased with it. NI: With Unreal Engine 3’s demise, am I correct in thinking that you shifted over to Unity from that point onward? RP: It just made sense. I mean Gravity Badgers was made on Wii U, and a lot of the other products we made were made on Wii U. As we were starting a new company we tried a couple, so we tried Unreal and Unity. Unity won out overall, it was just so much easier to port, so much easier to optimise, and it was just a more comfortable engine. And for the kind of style that we go for now. Obviously you’ve played Master Reboot and seen that aesthetic, we’re like ‘Oh, I’m sure we can get this on Unity just as well as Unreal’ and we have. One of the weird, I suppose, compliments that we get all the time is that people don’t know what engine we use. So, for Soul Axiom they’re like ‘What engine is that? !’ Whereas some Unity games you’re like ‘Oh, that’s a Unity game…’ We’ve really, really worked with the engine especially. NI: Nintendo’s partnership with Unity seems to have really opened up the Nintendo eShop to a new wave of developers. Was that an initial attraction for you to consider Wii U? RP: We’d been thinking about it before actually. We came to EGX three years ago, which was the first time for us. We were up on the Leftfield Collection – really small, showing off Master Reboot and a bit starstruck by everything. There were a load of people and it was the first time that we’d shown the game publicly in a big space, and people really, really loved it. NI: Do you feel like Unity itself is encouraging a new generation of developers? RP: Oh definitely. I mean, just ease. Even when I was starting say six or seven years ago now, it was a long process of people wanting to make their own engines and getting on console was seen as kind of impossible. Now especially with Unity it supports practically everything these days, and it’s much nicer. It just cuts out a lot of work out which, especially smaller companies, just don’t want to spend time creating their own engine for something they can do with something else. Unity has been amazing for us in that respect. NI: Unity has recently announced support for New Nintendo 3DS and New Nintendo 3DS XL. Having found success on Wii U, would you be open to exploring that as another potential platform to support? RP: Definitely. Actually, weirdly enough when we were out in Cologne we were talking to some of the developers of that. It is something that we want to actually try, because we’ve created a handheld version of Gravity Badgers for PlayStation Vita a while back which kind of did quite well. We know the 3DS is such a massive market. We’ve been to Japan a few times now as well, and we couldn’t believe people were playing it all the time. It will be something we definitely want to try out. For us especially, we like to develop and it would be a nice one for us to do. NI: So, moving on to Soul Axiom! Could you introduce it for anyone that may be hearing about the game for the first time? 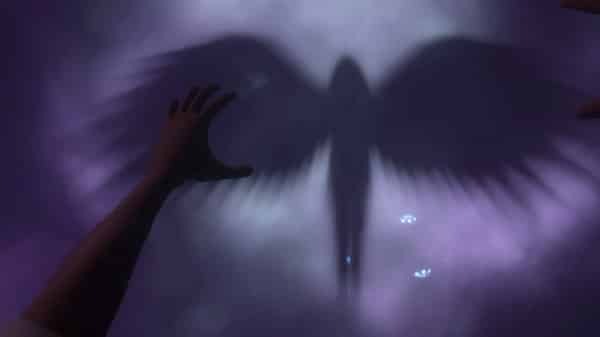 RP: Soul Axiom is a spiritual sequel to Master Reboot. It’s not a direct sequel per se, but it’s set in the same universe – similar to Aliens vs. Predator and that sort of thing. What Soul Axiom is, it’s kind of like Facebook for your soul. It is set in the not too distant future where when you die, just before your die or if you want to visit, you can upload a digital copy of your soul to a server and experience your life, memories and other people’s memories. You could meet with a deceased relative or friends in the area, so it’s a digital meeting place mixed with an afterlife experience. And, that is what Soul Axiom is about. NI: Oh God. I was completely creeped out by the young girl in Master Reboot. Especially when you had to sneak by her on the plane… that took me so long to escape! RP: [laughs] Well, there’s an angel and corrupt creatures now. I won’t say too much as it will surprise you, but we’ve got some really cool monsters that have been corrupted in the system. There’s some cool stuff. NI: Does it still try to play on that horror angle? RP: It actually leans more towards the thriller. So, as Master Reboot was kind of a sci-fi horror, this is probably more of a sci-fi thriller. I think overall we tried to put a sense of unease throughout the entire game to make it seem that something doesn’t feel quite right. There’ll be a few surprises here and there, but I think it’ll be a bit less frightening than Master Reboot. NI: There are multiple powers that the player’s required to use to solve puzzles. What was the design process behind their inclusion? RP: It was that sort of thing where we didn’t want to create weaponry. It wasn’t in Master Reboot, we’ve never aimed to do a shoot ’em up or anything like that, and we’ve always wanted to keep to the side of adventure. Because you’re in a digital world and manipulating it, we tried to think of cool mechanics that we could have throughout the game which kind of really solidified what you were doing and evolved as you went along. The first that we came up with were Phase powers, where you can phase stuff in an out of the world. Secondly was the Play power, that gave us loads of cool stuff that we could do with puzzles where you can move them into place – especially in manipulating objects from far away. And Destroy, that was a cool one because we liked the axe in Master Reboot when that came along. When the axe connected players loved it, so we thought that we’d put that one back in. And you’ve got a Corrupt power later on which you haven’t seen yet, but that’s another one that manipulates the world in a different way. They all amalgamate together to create some tricky puzzles. NI: They appear to be steadily introduced as you progress through the game. Does it ever reach a point where the player will have to switch between them quite heavily? RP: Definitely. The three levels that you played in the demo, the first was the Desert Temple so that’s fairly early on – that’s the third level in the game. We linearise the start of the game to build you up to it, so that you can learn everything. The second level that introduced the Play power in the Museum, that’s actually from the second chapter. So, that’s a good three or four hours into the game. The hospital’s probably another two hours on top of that, so that’s about six hours in. You’re starting to combine powers then. At the moment the game overall is running at about 12 hours so far. Which is a nightmare to test, but we get some really cool stuff and mix it all around. NI: How’s development time compared to Gravity Badgers and Master Reboot? Has the experience that you have now built in using Unity helped? RP: It’s quicker in terms of us as a company, because we’re more used to doing ports these days. We’re used to the way things work, and the lot check system on Wii U. What has taken longer is the game as a whole. Gravity Badgers probably came in at about two or three hours, maybe nearer six if you maxed it out. This one, for the average person, will take around probably 12 hours. So, it’s taken longer overall because of the size of the game, but the actual way in which we’re doing it is much easier. Unity made it easier, like I say, but we actually started off this game in Unity 4.0. As these things go, we had a tentative deadline when we wanted to finish it by. But we thought ‘right, this is getting bigger…’ so we pushed that back a bit, and then Unity 5.0 released finally. Then we were like ‘ok, there’s a few things we can fix with this’ so in the end we decided to bite the bullet, port it up, and that’s been a lot better for us as well. Unity 5.0 has been a real step up again. 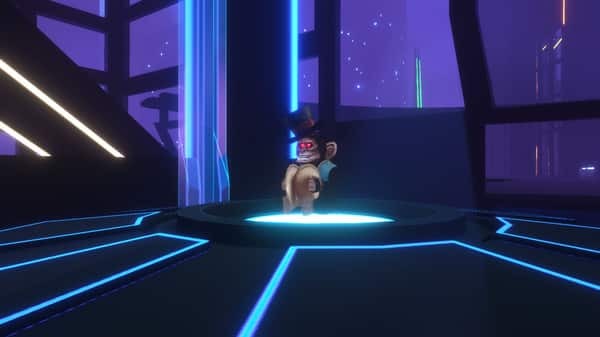 NI: Master Reboot had blue ducks… and now Soul Axiom has monkeys with top hats! Are they playing the same role, as a way for players to uncover the narrative? RP: It is pretty much the same role. Actually, funnily, when you generate your object – they’re called a PEMO (Personal Messaging Object) – we do a few nods to Master Reboot through the game. So, there’s actually a blue duck generated and people are like ‘Oh, it’s a blue duck!’ and it skips on to the monkey. They do work in the same way, we kind of wanted to do the story in a similar way to how Master Reboot worked where a lot of the game is told through what you find and what you pick up. For top level players who just want to blast through it and don’t want to read too much, they’ll have one story. It will be satisfying and they’ll know what’s happening, but for people that want to dig deeper into it and read the PEMOs we wanted to make it as easy as possible. Actually, quite early on in the game you unlock quite a cool trophy room, or a library, and you have consoles there where you can read through the existing PEMOs you have and shows the ones that you haven’t got. We really want to encourage the player to actually go and find the monkeys, most of them are fairly easy to spot but some are trickier. There are actually four characters in this game, and you don’t know which of those you could be – if any of them for that matter. We’ve got four different kinds of stories going on, and, it’s funny, we’ve been watching the YouTube videos as it’s been in Early Access for a while now. The ideas people are having already, I’m like ‘that’s kind of cool, but…’ [laughs] It’s really great, and one of the things that we like doing with the narrative. NI: Was it always a goal to play on a sense of discovery, where the player’s left alone to ponder solutions to puzzles? RP: We try to find a balance. We don’t want to… well, it’s happened before… but we don’t want to make it too hard. What we’ve tried to find the balance with, is that initially you may be like ‘What the hell do I have to do here? !’ But then it’s really satisfying when you get it. It’s one step up from Master Reboot especially, as we’ve had a lot more testing and people iterating on the puzzles. If it’s not clear or frustrating we’ve gotten rid of it or changed it. So we’ve tried to make it, as much as possible, where every puzzle is satisfying. Not every one will find it easy each way. You played the desert level, so I don’t know how long you took to do that? But, I’ve seen people do it in two minutes before right off the bat. RP: [laughs] Did you see the hint behind the pyramid though, on the wall? Little stuff that we’ve added like that was just from going to shows, actually. We saw everyone constantly running around the back of the pyramid. We don’t want to spell it out, but we want to try and point people in the right direction. We try to find a good balance for this – not too solid, but not tedious. NI: As for the Wii U GamePad, how have you approached putting that to use? Will it have Off-TV Play support? NI: With development coming to an end, what does the next year hold for Wales Interactive? RP: As a company, we’re moving into publishing. We’ve been three years on the go now, and we have seen and met loads of people over the years that want to try and get onto console. They have really cool games, so that’s one thing that we’ll be helping with. But for us ourselves, we’re looking into a spin-off of Soul Axiom. I won’t go too much into it at the moment, but it’ll be a different approach. We’re going to try it out, and if it doesn’t work… it doesn’t work. It’s such a great universe, and we don’t want to leave it alone just yet. NI: We’ve had Gravity Badgers, Master Reboot and now Soul Axiom. Do you feel Nintendo’s audience has been receptive to your games on the eShop? NI: Has that encouraged you to continue supporting Nintendo’s platforms moving forward? NI: If I challenged you to sell someone on the game in 30 seconds, could you do it? 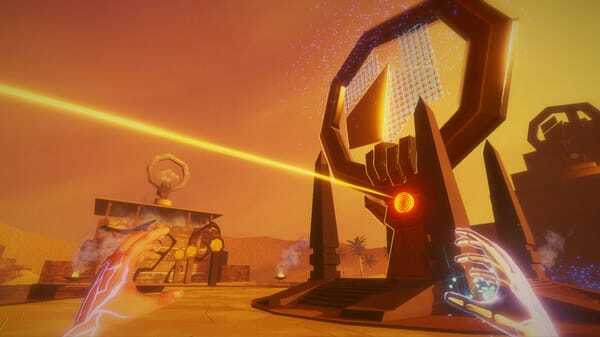 RP: So, Soul Axiom is a first-person sci-fi adventure game. You should buy it because it explores the deepest recesses of your soul, you can experience many different levels, many mechanics, a load of different characters, environments, gameplay options and just a challenge really. It’ll make you feel uneasy, it’ll make you feel happy, it’ll make you feel sad. And, you’ll have an experience which you won’t forget! NI: [laughs] Thanks for your time, Richard!